vancouver, yvr, articles and third party booking sites. 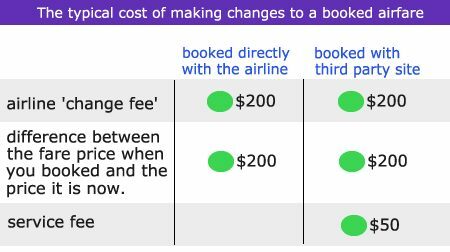 7 Responses to "Third Party Airfare Booking Sites: The Power Rankings - who to trust, who to avoid"
Hi Chris. Love your sites and find them helpful. That said I have to report I had some of the worst customer support recently from CheapOAir when trying to make changes to get our son out of Central America a couple months ago. Mass confusion, line drops with no call backs, flight changes of $500+ etc. Total nightmare. 7.5hours of calls and 3 days later, with the help of American Airlines and them taking over control of the ticket, we got him home for what was still $200 more. So, maybe we were an exception, but was surprised to see them rated so high. Keep up the good work though!!! I have used CheapOAir many times and have always had great success with them. They are usually my go to site unless the airline itself is the same price or less expensive. Thanks James! They are one of the more popular sites around, with a very large number of bookings per day. The ratio of complaints to compliments I see about CheapOair always seems to be pretty low, especially considering their size. But I can certainly understand how this would seem difficult to believe for anyone that's personally gone through a bad experience with them. Thanks for both comments. I am a stats guy so I appreciate the alternative. I'm going to chalk it up to a 'bad week' or something odd about the booming because I had no joy with multiple agents over multiple days trying to address the same issue. People seemed nice and wanted to help but couldn't. Please consider reviewing ebookers. I inadvertantly almost booked a flight with them that they would have potentially not even been booked after they charged my acct(based in reviews) It is good to high light the top 3rd party bookers but these guys pop up in sky scanner at times and buyer beware!!! Thanks Hugo, eBookers is pretty Euro-centric, but you're right, they do pop up every now and then on certain meta-search sites. I will definitely look at adding them on the next update.